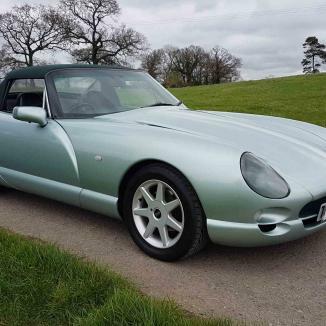 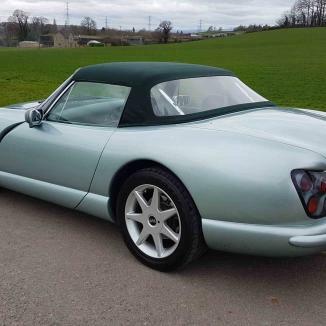 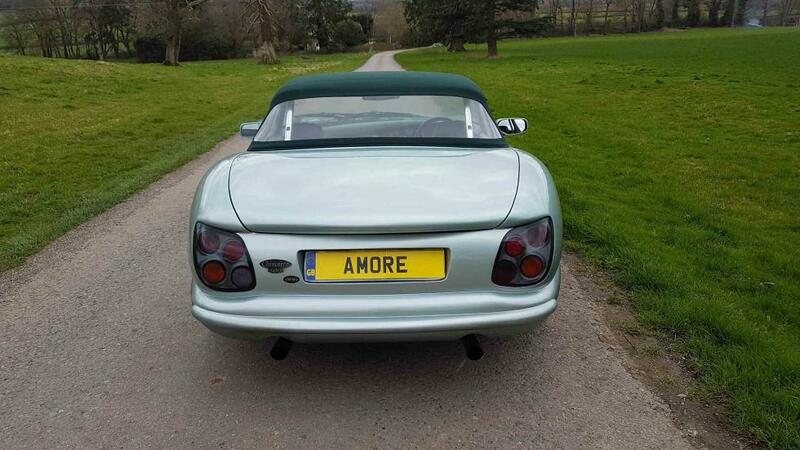 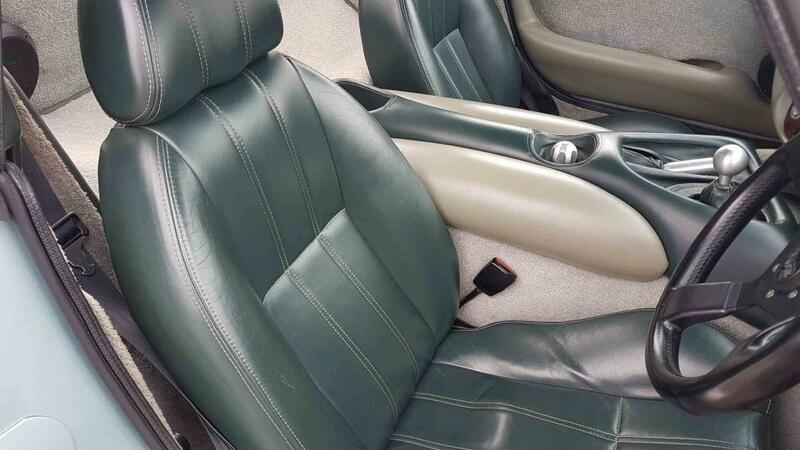 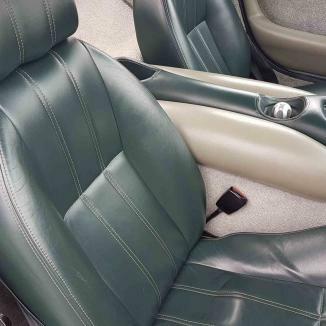 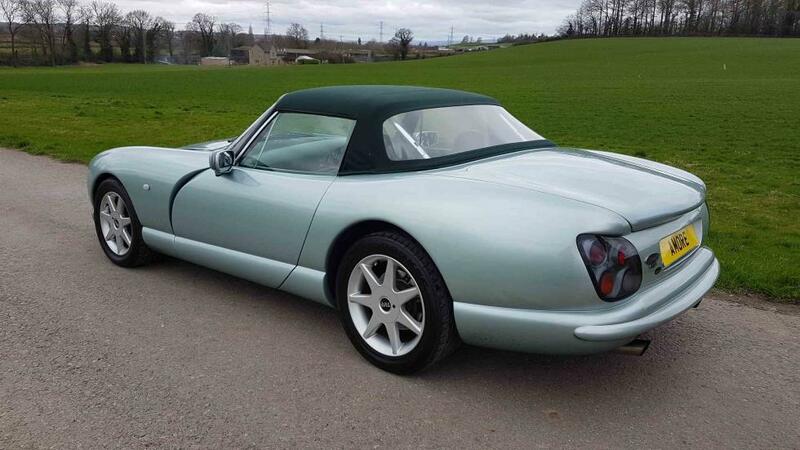 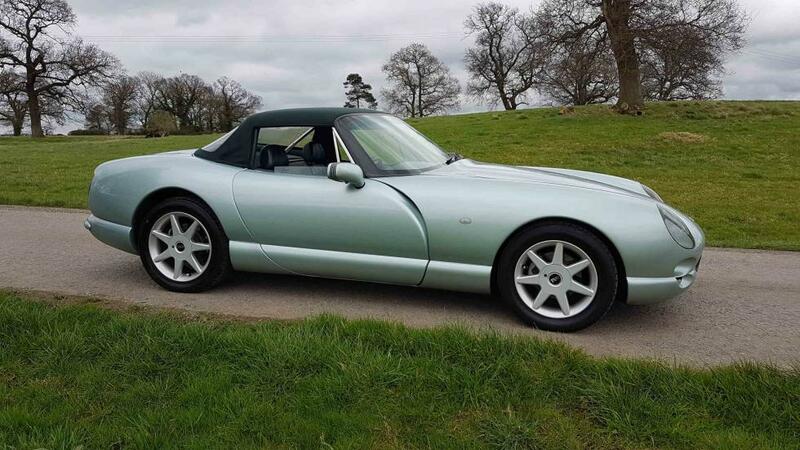 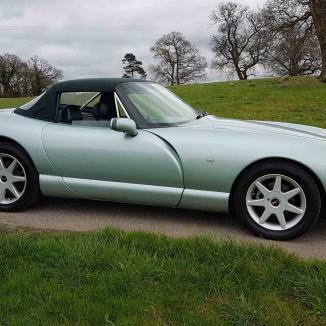 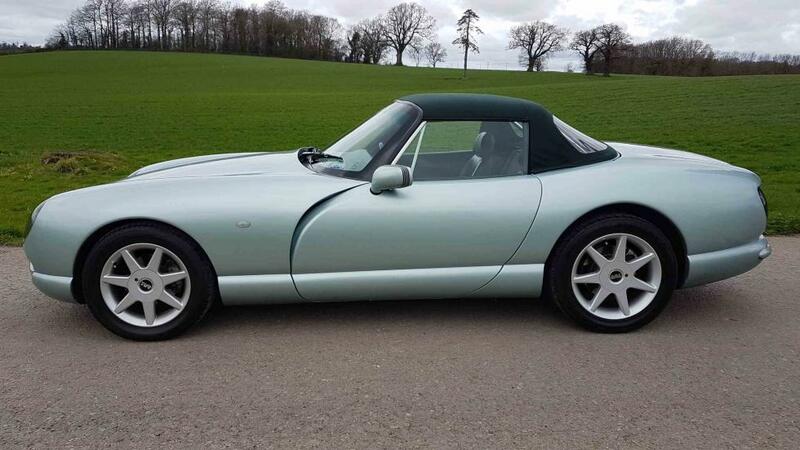 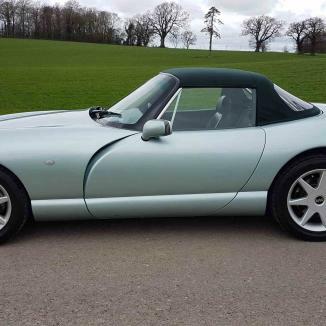 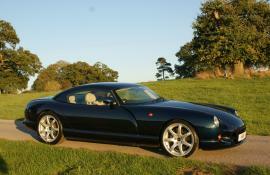 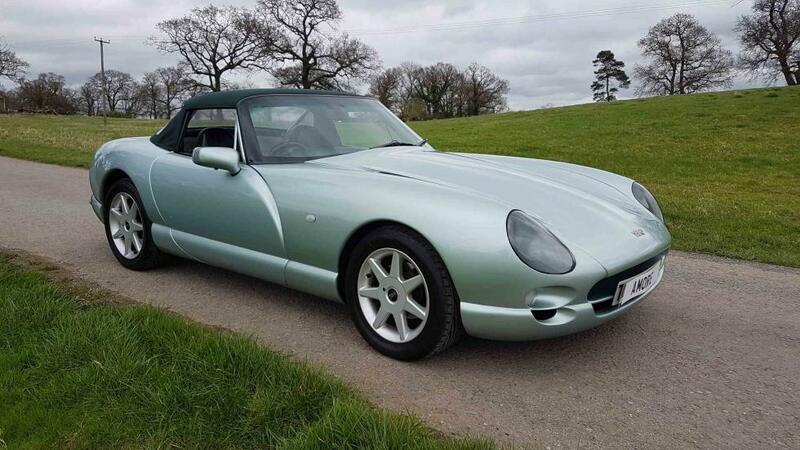 1999 TVR Chimaera 500 – Crystal Verdi with cream/green matching interior. 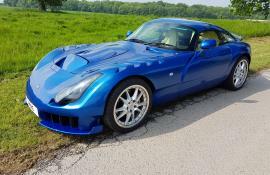 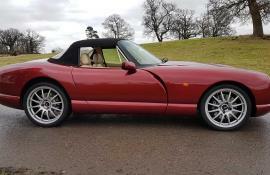 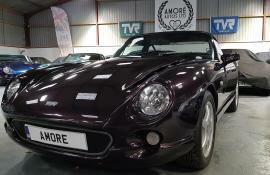 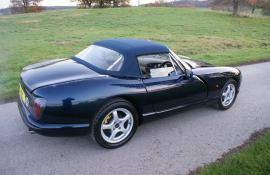 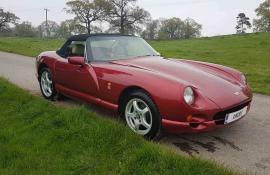 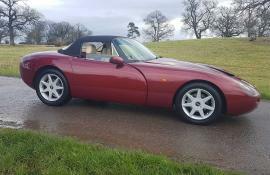 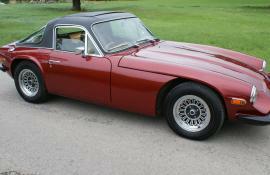 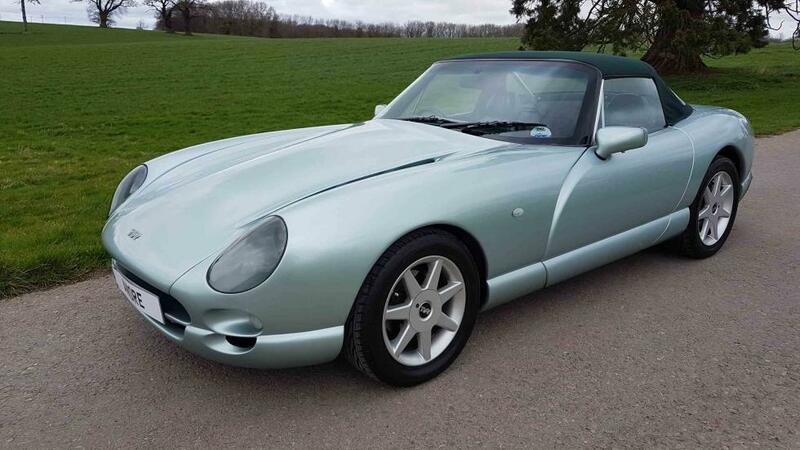 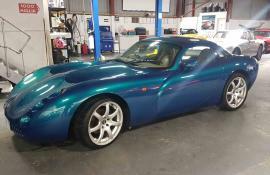 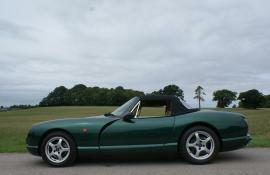 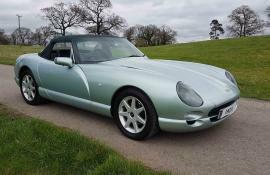 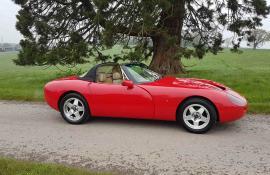 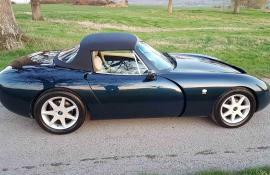 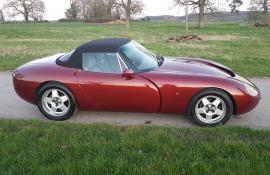 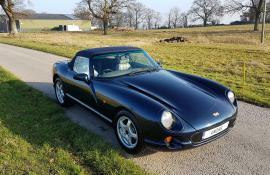 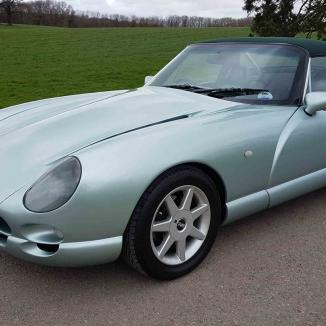 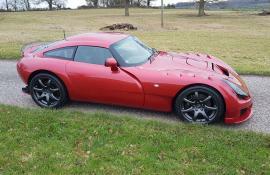 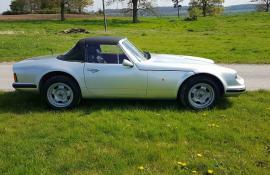 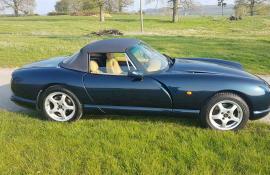 This is a wonderful TVR club members car supplied with a full warranty. 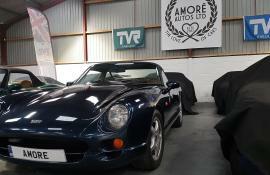 TVR Power ‘Taraka’ engine upgrade #34 by Dom Trickett of Powers Performance. 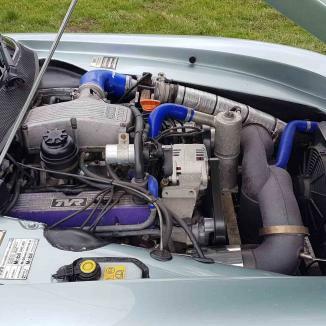 The conversion was done at 47,000 miles and includes camshaft, followers, rocker gear, inlet manifold modifications, inlet trumpet base mods, cc cylinder heads, plenum top & ECU chip; this gives the car tremendous linear power and torque. 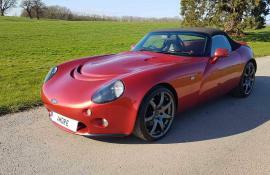 Invoices for over £7,000 for the engine work and suspension upgrade. 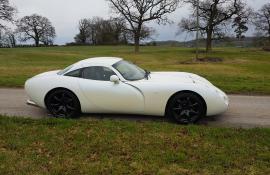 Powers also updated the car with fared-in headlights and mk3 rear light clusters. 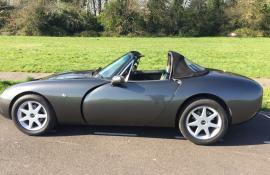 ‘500’ spec Estoril wheels – unmarked. 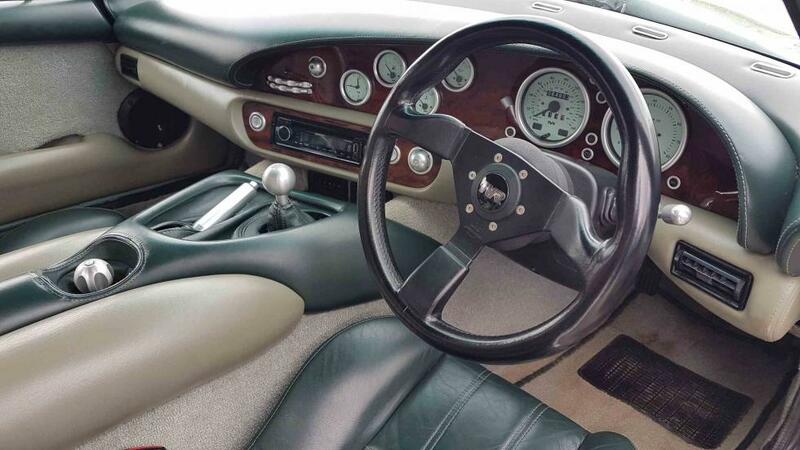 Upgraded high quality head unit with full USB and aux connectivity along with new high-quality front and rear speakers give great clarity. 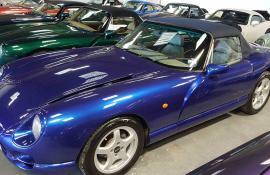 Original roof bag and tonneau cover included, roof in superb condition. 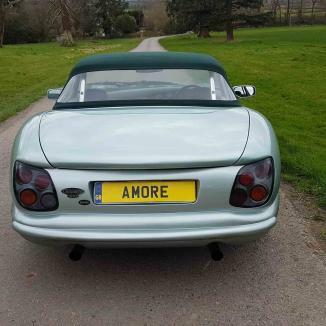 The car has a ‘sleeved’ exhaust giving it some welcome extra voice but nothing ridiculous, it’s still great for cruising! 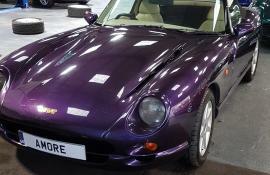 New outriggers supplied and fitted by TVR101 and the underside of the car has recently been fully cleaned and protected. 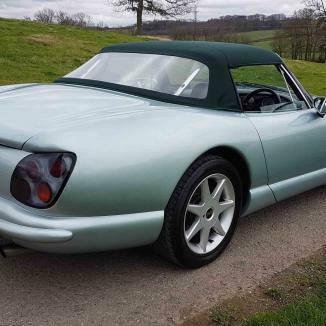 The body work is in good shape with bright lustrous paint and few stone chips, largely explained by a 3M protection clear wrap over the front of the car. 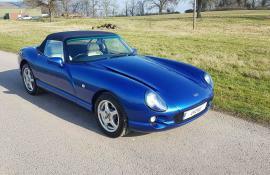 Full and comprehensive history and clean MOT. 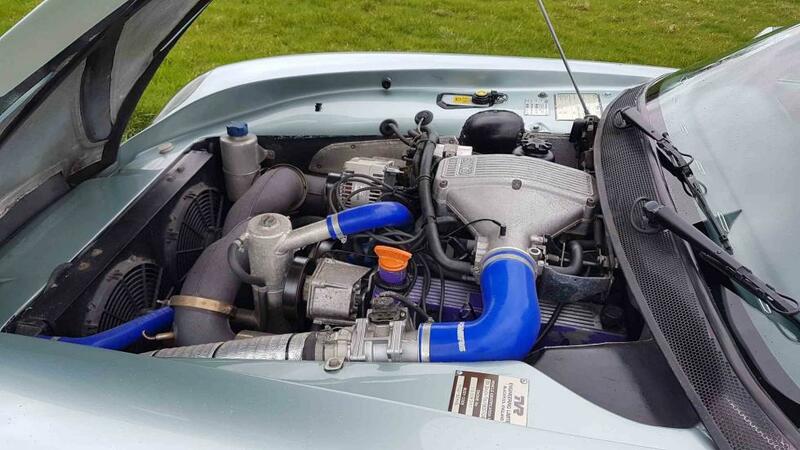 Both keys and fobs present and working. 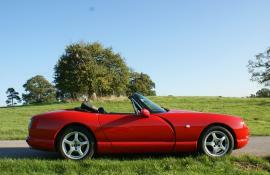 67,000 miles demonstrating regular use and regular maintenance. 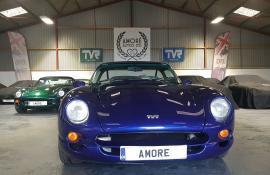 Comprehensive history folder with receipts along with the original and complete TVR service book with hand written amendments from the factory! 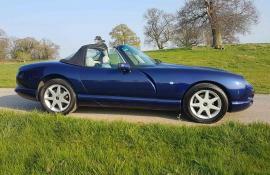 Full 12k service at 61,000 miles including plugs, stepper motor, gearbox & diff oil, and all discs and pads. 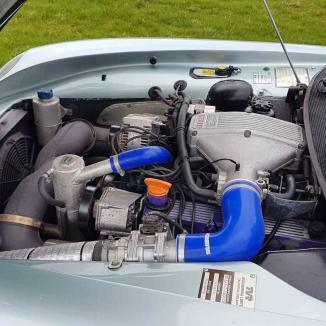 New outriggers at 61,000 miles; at the same time the car also benefited from new fuel pump and hoses, braided brake lines, and new rear arb drop-links. 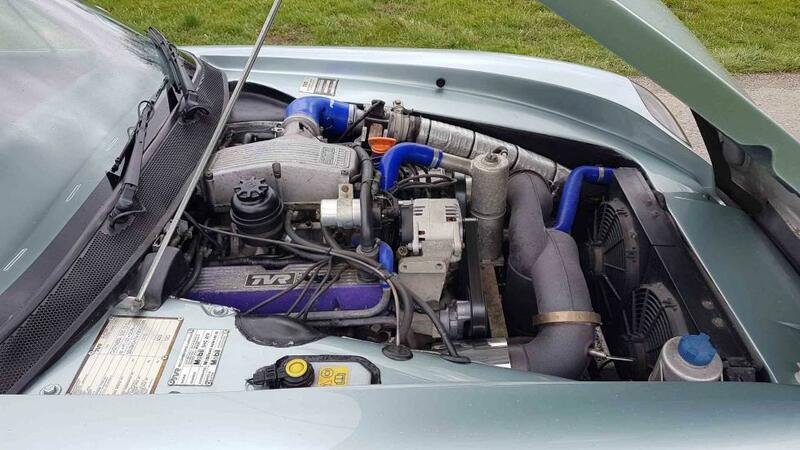 At 63,500 miles the car had an oil and filter change, new clutch, new rear main oil seal, new spigot bearing, adjusted ignition timing, cleaned and undersealed chassis, and new Bosch fuel pump relay. 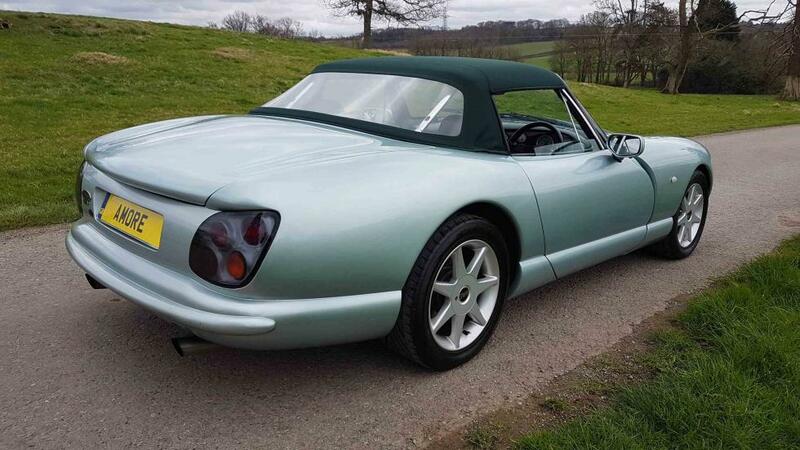 The colour of this car is a real head turner without being ostentatious. 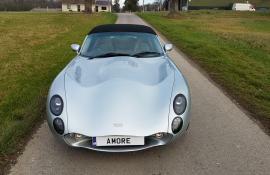 Please call of email for more information and videos. 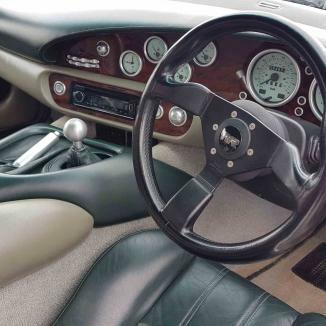 Interior images will be available soon.